| Home | Blog | What is the Largest Rabbit Breed? What is the Largest Rabbit Breed? What Is the Largest Type of Rabbit? Flemish Giants are the largest breed of rabbits, often referred to as the ‘king of rabbits’ due to their enormous size. Flemish Giants routinely reach an adult weight of 14 pounds, but Giants have been recorded hitting weights of as much as 22 pounds. In the wild, the average rabbit tends to weigh anywhere from about 1 to 4 pounds. It would take about 9 such rabbits to equal the mass of the largest rabbit in the world. 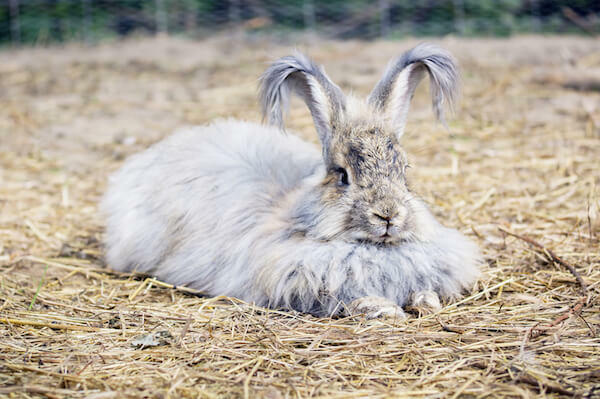 Giant Angoras are the largest of the Angora breeds, and must grow to a minimum of 9 1/2 pounds for senior bucks and 10 pounds for senior does. Originally from Turkey, Angoras were popular among French Royalty for their fur, which was woven into angora wool. Giant Angoras tend to have an easy-going temperament. The French Lop, which weighs about 10 points on average, was originally bred in France, where it was created by the crossing of a butterfly rabbit and an English Lop. 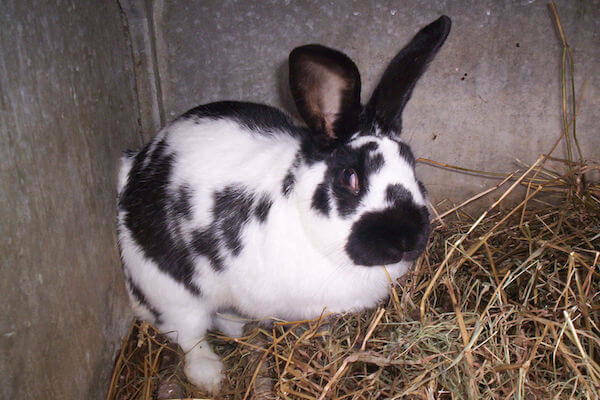 French Lops have short ears which hang down each side of its head, and are known to be intelligent and of easy and calm temperament. As such, they tend to be a good breed for interacting with children. French Lops like company, meaning they should be kept in pairs whenever possible. Known as Giant Papillons in the United Kingdom, Checkered Giants have a minimum weight of 11 pounds for senior bucks and 12 pounds for senior does. No one is precisely certain as to the origin of the Checkered Giant, though some speculate that it came about from crossing a Lop with a Flemish Giant. The Checkered Giant derives its name from its unique color pattern, featuring a white coat with blue or black markings. It has circles around its eyes, a dark strip of fur down the length of the spine, and a butterfly on its nose. Checkered Giants are known as a breed of nervous temperament, and have been known to bite on occasion. Experience is needed if raising or showing the breed. Giant Chinchillas, created in 1921 in the United States, have a weight of 12 to 15 pounds for senior bucks and 13 to 16 pounds for senior does. The first Giant Chinchilla was a cross between a Flemish Giant and a Standard Chinchilla. Giant Chinchillas are frequently raised for meat, though they are of a gentle and calm temperament. They’re known for their large litters, as litters of 6 to 8 are frequent. Flemish Giants are believed to have come from stone rabbits in the Flemish region, though specifics are unknown. Flemish Giants are a hardy breed, and if socialized at a young age tend to be of a gentle temperament. The largest Flemish Giants on record tip the scales at over 20 pounds, and have been measured at lengths of over 4 feet. One of the most famous Flemish Giants was named Herman, and clocked in at 22 pounds. Another celebrated Flemish Giant was named Rudi, and outweighed Herman by two pounds. Herman, however, was longer than Rudi, and is generally regarded as the bigger rabbit overall. 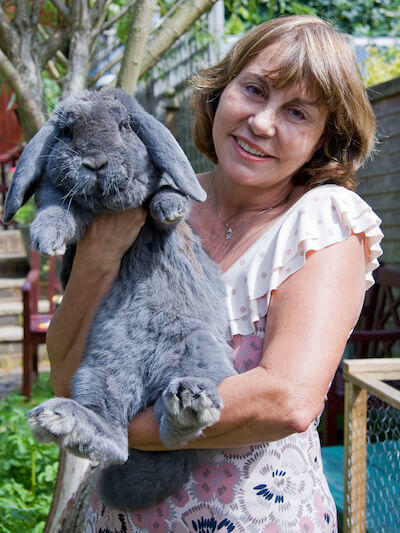 But then there is Humphrey, a French Lop that’s over 42 inches long. Flemish Giants can be tolerant of handling and docile, but must be handled frequently to reach that temperament. If improperly handled or neglected, they can become either fearful or aggressive. 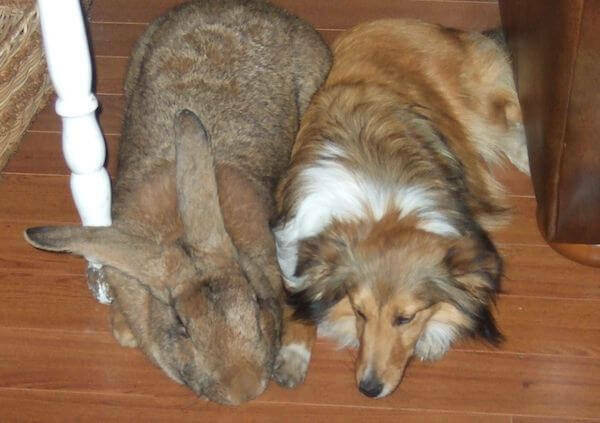 Anyone thinking about getting a Flemish Giant should be aware of a few special conditions when raising the breed. First of all, because of their weight Flemish Giants are particularly prone to sores on their feet and hocks if caged with improper gauging. Second, Flemish Giants need a good deal of space to flourish. It’s recommended that they receive at least 5 feet of floor space, and even more for larger than average Flemish Giants. The diet of Flemish Giants is a little bit different than many other rabbits in a few ways. Flemish Giants need more food than most rabbits, which may be stating the obvious. But they also need more protein than most rabbits early in their lives. Flemish Giants need to produce far more bone mass, and they grow relatively slowly. And all that food means more waste – Flemish Giants produce quite a bit more than the average rabbit. 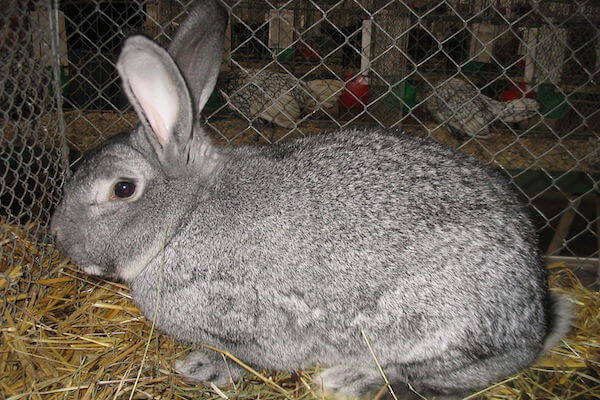 A Flemish Giant reaches full size at about a year and a half, and lives around 8 to 10 years. Flemish Giants can make excellent pets. However, it’s best to know certain things about them before considering them as a potential pet. It’s imperative that Flemish Giants receive socialization at a tender age. If they are properly socialized when young, they will usually have a gentle and peaceful temperament. 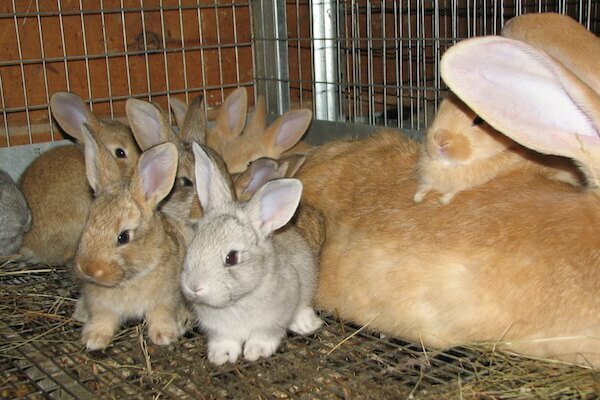 A Flemish Giant’s temperament (if properly socialized) is suitable for children, but the breed may not be the best choice for a family with young children. The weight of the rabbit tends to make it too difficult for young children to carry a Flemish Giant. Flemish Giants need to be lifted and carried carefully, with special attention given to their spine alignment, again due to their weight. It’s also necessary to consider whether you’re willing and able to devote the resources needed to raise and keep A Flemish Giant. 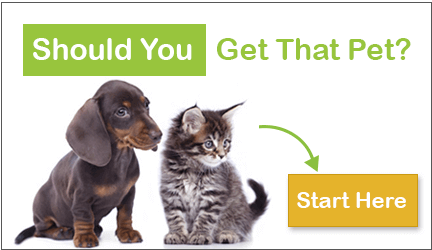 Can you allocate enough space, and are you able to support its larger-than-average diet? And you’ll need to stay on top of keeping its habitat clean in light of the waste it produces. If all of the above sounds reasonable and you want to own the ‘King of the Rabbits’, a Flemish Giant could be the rabbit for you. ← Can You Die from Touching a Poison Dart Frog?